8 Things to Learn in React Before Using Redux — What you should know about React before using Redux, focusing on state management and components. How to Create a Reddit Clone Using React and Firebase — Nirmalya Ghosh shows you how to use Firebase’s real-time database features, coupled with create-react-app, to build a basic Reddit clone with live voting. 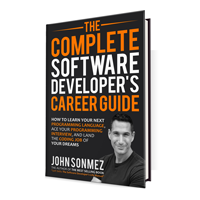 Announcing: How to Earn More as a Software Developer — Technical knowledge alone isn't enough—increase your income by leveling up your "soft skills." Learn new skills faster, command more respect, find work you love, and earn what you're worth. Get the book for $0.99 (48 hours only). Thinking In React — An examination of best practices in designing performant React apps. React and Redux Testing with Jest: How Some Jokers Learned to Take Snapshots — Snapshots replaced a whole slew of Enzyme expect statements and allowed the Bleacher Report Engineering team to easily test their Redux actions and store. Building Electron Apps with Next.js — Using Next.js for creating React-based Electron apps is an interesting idea. Attend Google Developer Days — Europe 2017 in Krakow, Poland — Join us at #GDDEurope, where we will be covering the latest developer updates and best practices. FlexView: The Easiest Way to Use Flexbox with React — An introduction to FlexView, a React component to create any layout on any browser. Front-End Sadness to Happiness: The React on Rails Story — How one dev's “pursuit of developer happiness for the Rails front-end” drove him to create the React on Rails gem, the most popular React integration for Ruby on Rails.